*Heavenly Creatures, Jude, S&S and Hamlet were all nominated for an Oscar for "Best Writing, Screenplay"
*TWENTY-TWO = age of youngest actress ever to nominated for an Oscar...TWICE! KATE WINSELT! 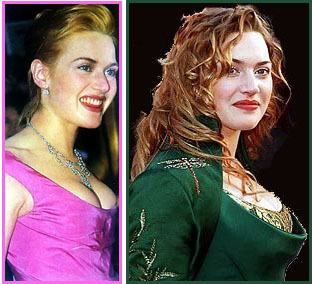 *In Titanic (1998), Kate Winslet was nominated for best actress as young Rose, while Gloria Stuart earned a supporting-actress nod as the elderly Rose in the film's framing sequence. These two actresses made history when both were nominated for playing the same character in the same film. The professor and Mary Ann... Here on Oscars big night!"